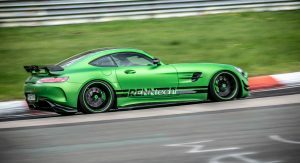 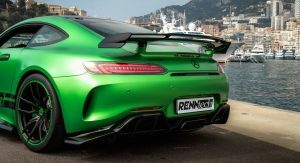 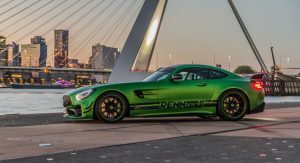 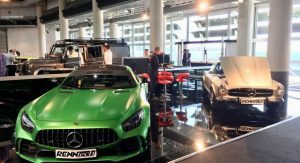 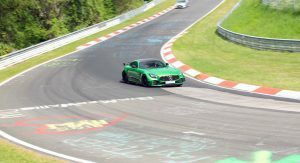 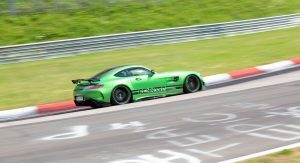 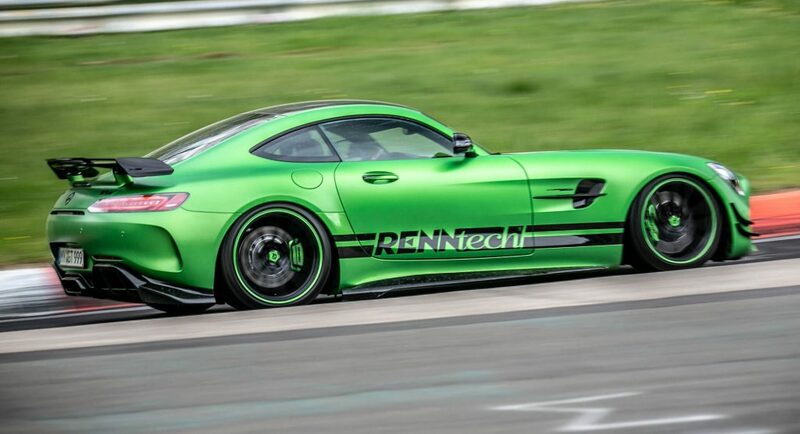 Renntech has set a record on the Nurburgring with their tuned Mercedes-AMG GT R, which completed the 20.8 km (12.9 mi) long course in just 7 minutes and 4 seconds. 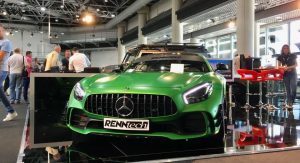 The beastly model born in Affalterbach and upgraded by the tuner isn’t as quick as the Porsche 911 GT2 RS, which ran the course in 6 minutes and 57.3 seconds, but it’s still the fastest street-legal Mercedes on the Nurburgring, according to Renntech. 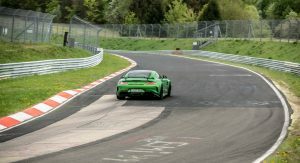 Putting the car through its paces was GT3 racing driver Andreas Simonsen, who’s familiar with the track from the 24-Hour Race. 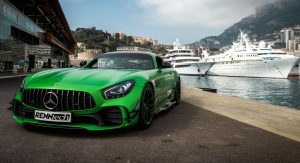 The young Swede had to avoid and overtake other vehicles during the run, as the Mercedes-AMG GT R wasn’t driven on a closed course. 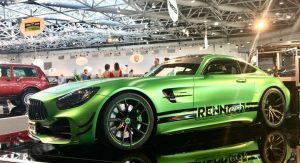 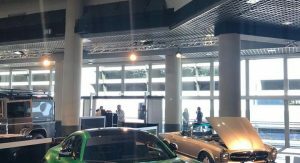 Renntech wasn’t satisfied with the result, as they’re looking at “several intelligent technical solutions to unlock even more hidden potential from the AMG GT R”. 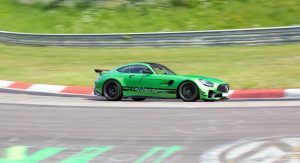 The tuner will then return to the Nurburgring because they believe “there are still a few seconds to be squeezed out if it”. 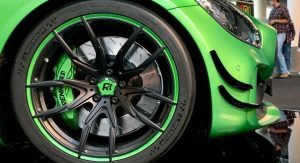 As for the actual supercar depicted on film below, it has improved brakes, new suspension, and Michelin Cup2 ZP semi-slick tires wrapping the 10×19-inch front and 12×20-inch rear wheels, in addition to some visual mods. 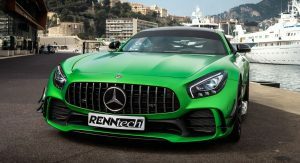 The most impressive upgrades lie in the engine compartment, where the twin-turbo 4.0-liter V8 has welcomed larger turbos, tuned blow-off valves, upgraded ECU and new air filter. 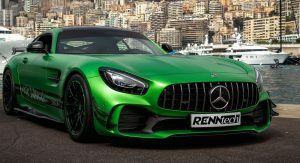 The result is a healthy 825 PS (813 hp / 606 kW) and 850 Nm (627 lb-ft) of torque, channeled to the rear wheels through an improved seven-speed dual-clutch transmission.